Formed the first abolitionists society in favor of the immediate freeing of all slaves. 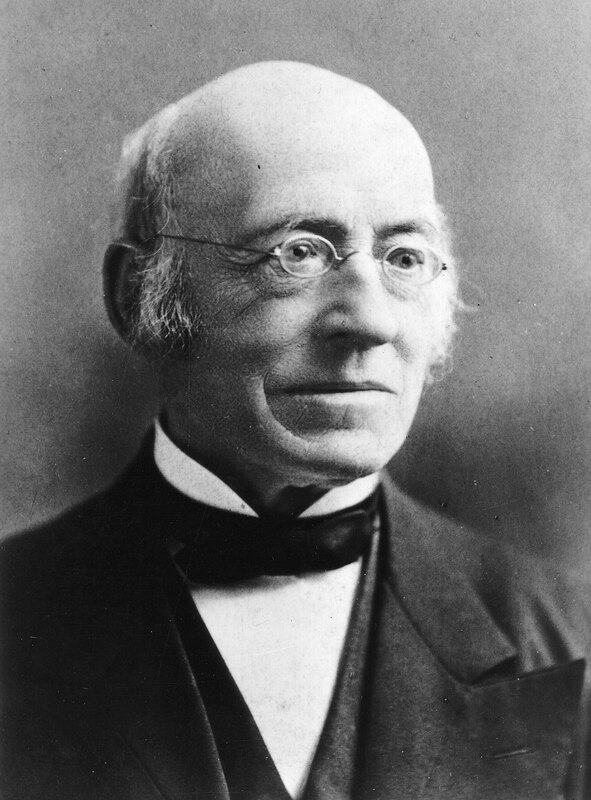 An ardent abolitionist, William Lloyd Garrison founded The Liberator in 1831, a newspaper dedicated to the abolition of slavery. Garrison lead a hard childhood, growing up poor and struggling to survive after his father deserted the family when William was just three years old. By the age of thirteen, after many apprenticeships, Garrison landed his first job in the newspaper industry, working for the Newburyport Herald. He joined the abolitionist movement when he was twenty-five and supported the immediate abolition of slavery (an unpopular position at the time), even going so far as participating in the drafting of the constitution for the New England Anti-Slavery Society in 1832 and the American Anti-Slavery Society in 1833 for whom Frederick Douglas was hired to speak. From its founding to the end of the Civil War, The Liberator published 1, 820 consecutive issues. After the war he supported women's suffrage and better treatment for Native Americans. Garrison died in 1879.